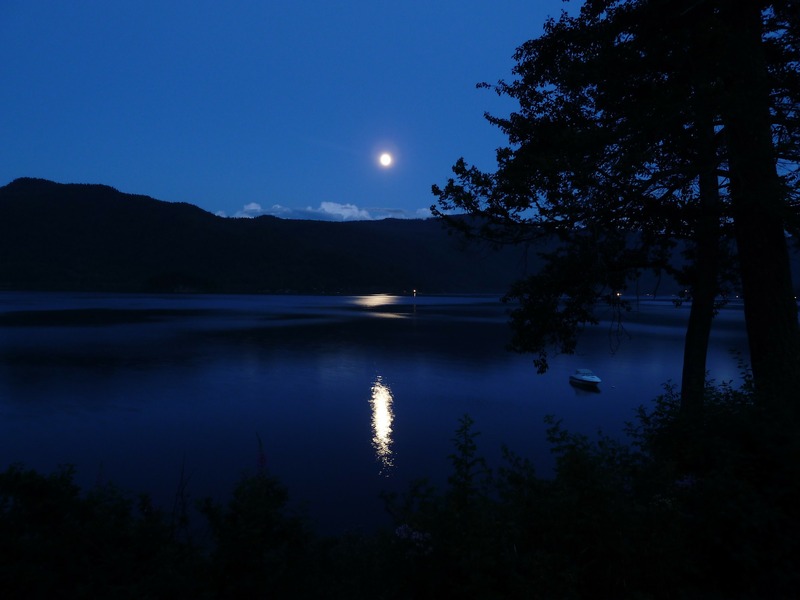 The expression 'Once in a Blue Moon' is used to express a rare and often special event. This is because it occurs just once in every two and half years or so. It occurs when a second full moon falls in any one calendar month. Usually months have only one full moon, but occasionally there can be a second one named a Blue Moon. Full moons occur every 29 days, but most months are 30 or 31 days long; so it is possible to fit two full moons in a single month. This happens rarely. The coming Blue Moon is October 31 2020, which also coincides with the Magic of Halloween and you'll have to wait until August 31 2023 before the next one occurs. But before that is the Seasonal Blue Moon on May 18 2019. This is when 3 full moons appear in just one season. The moon phases are seen as important for many established and traditional religions, often marking special significant dates in the religious calendar. Both the Islamic calendar and Jewish calendar are lunar. Christianity sets its most important event of celebrating Easter on the first Sunday following the first full moon after the spring equinox. Buddhism, Sikhism, Hinduism and Jainism also follow the moon cycles to mark significant festivals. The practice of the 'Craft', known as Witchcraft, Paganism and Wiccanism all place greater significance than other religions on the moon and its phases. Of particular importance are the full moons which are celebrated and honoured and known as Esbats. 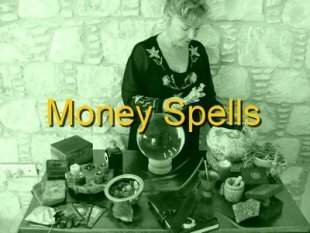 The full moon or Esbat is seen as a potent and special time to celebrate, practice rituals and to magically Spell cast for any positive purpose – love, money, health and happiness for example. And the rare Blue Moon is considered an exceptionally potent time to Spell cast. So do not miss out on this 'Once in a Blue Moon' opportunity to mark this special event and do something monumental. To make your special wishes come true use the forthcoming positive energy to Spell cast for yourself or ask me, Alizon an experienced professional Witch to cast on your behalf. 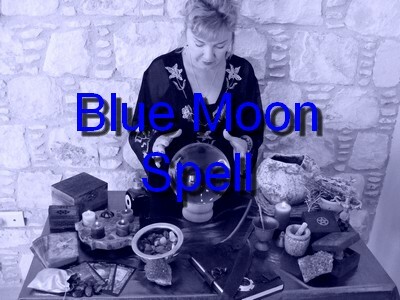 Because I am a real Witch, casting real Spells with real results I'm so excited to be able to offer a very rare, extremely magical and powerful Blue Moon Spell. Powerful Magic Spells cast on this evening by an experienced Witch, such as myself are known to be nine times more potent than any other time. I personally guarantee that I will do my very best for you and you will discover the real secrets to abundant wealth, prosperous health and loving happiness. The Blue Moon Spell I will cast for you is for any positive purpose of your choice. The amazing Spell governs all facets of abundance, wealth attraction, prosperity and positive energies and is the most powerful and potent Spell to be cast on the rare Blue Moon. It encompasses all luck and good fortune situations and can be used to draw to you abundant wealth, committed love, good luck, success and happiness. The Spells I cast on your behalf are cast in love and light, with harm to none. They cannot backfire and do not bend the will of anyone. 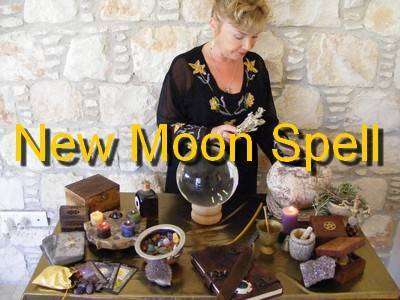 The Crystals, wild herbs and other ingredients I use for casting your Blue Moon Spell are chosen for their powerful and potent magical properties and positive energies. All the wild herbs, wild flowers and tree barks are ethically gathered at peak potency and all Crystals are selected for their powerful energies. All the ingredients I use to formulate your personal Spell cast on the Blue Moon are gathered, ritually blessed, charged and prepared personally by me during the appropriate Magical Lunar Phases.